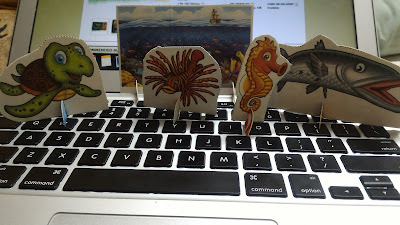 Though my kid is only about 2 years old, and cannot make his own stories right now, I was excited to cut these sea-world characters out for him to observe, play and learn. Don't we parents want our kids to pick everything up fast? 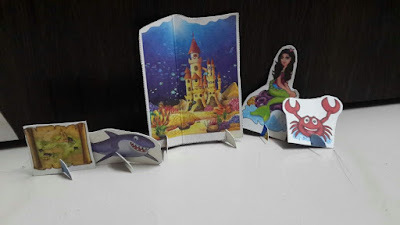 My neighbour has a 5 year old son, and one day when he came to our home and saw these packs he was very excited because he had been asking his mom to get them for him since some days. So I couldn't help but give 2 of the packs to him, you should've seen the delight on his face! Not only kids, adults who like to be creative will enjoy this craft time with their li'l ones too. Plus there are so many facts that even I did not know of and read on the pack. 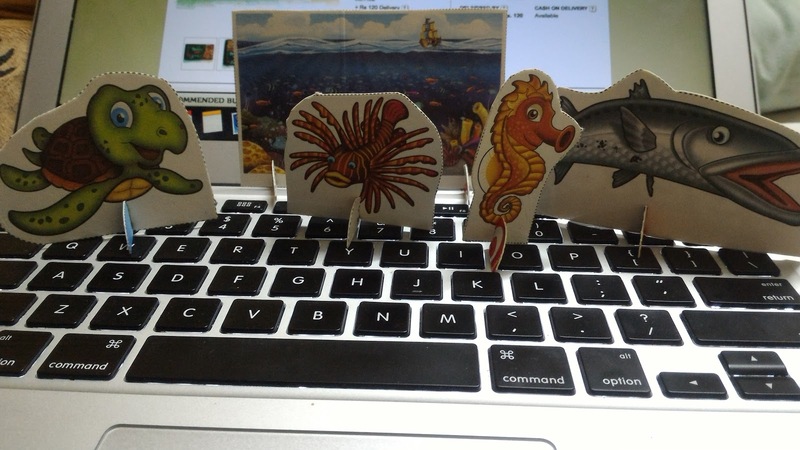 My li'l one really loved the fishes and now I know that one day maybe I can get him a pet goldfish! It is such a simple and thoughtful innovation by Colgate, instead of throwing the pack, make use of it to enhance children's imagination, give them some activity that doesn't involve gadgets and of-course, encourage them to brush teeth (twice a day). Hat's off guys, whoever thought of this deserves to be complimented. For my kid, I put together a story combining 2 of the packs, why not? Thank you Colgate, on behalf of all the kids who enjoyed story-telling sessions with the pack. And will look forward to more themes and series in the future, when my kid is old enough to make his own stories! online shopping pakistan visiting the online store and then making payments online. Order can be placed for some products and they are delivered to the door steps of the user and payment can be done by cash.